[S11] John J. Weidner, Compiled Birth, Death, 128, 386, 387. [S11] John J. Weidner, Compiled Birth, Death, 387, birth date only. [S284] Daily Herald, 19 Nov 1986, sect. 3, p. 16, cols. 3-4, birth date, date, city, state. 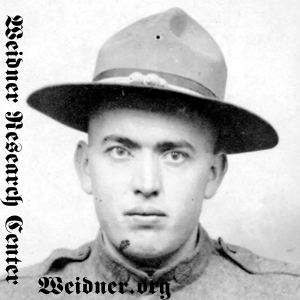 [S11] John J. Weidner, Compiled Birth, Death, 387 date only. [S284] Daily Herald, 19 Nov 1986, sect. 3, p. 16, cols. 3-4, date and location. [S284] Daily Herald, 19 Nov 1986, sect. 3, p. 16, cols. 3-4.